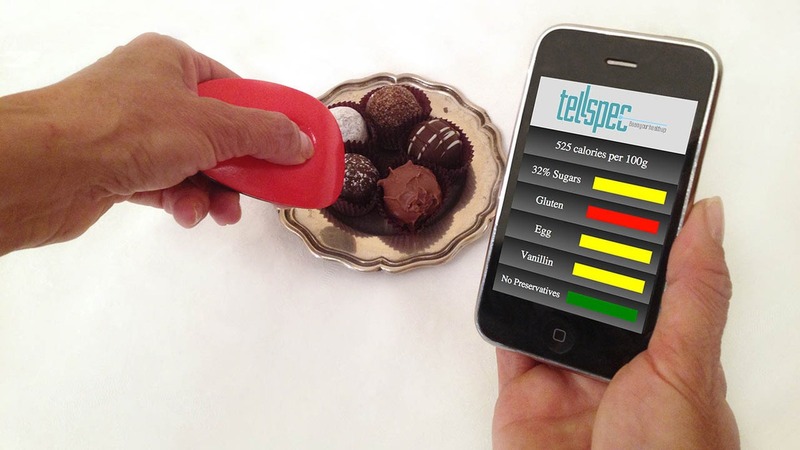 TellSpec is a light, portable, convenient, and fast, wireless device that connects with your smart phone to tell you the allergens, chemicals, nutrients, calories, and ingredients in any food. Just aim it at the food and press the button until it beeps. You can scan directly or through plastic or glass. TellSpec is an inexpensive, simple, and easy to use way to learn what's in your food.